CLICK BELOW TO HEAR HAROLD AUSTIN ANSWER THE QUESTION: HOW DID YOU GET THE MUSIC TO SOUND THE WAY YOU AND KEITH NAFTALY WANTED IT TO SOUND? CLICK BELOW TO HEAR HAROLD AUSTIN ANSWER THE QUESTION: WHAT DIRECTION DID YOU SEE KMEL GOING WHILE YOU WERE THERE? 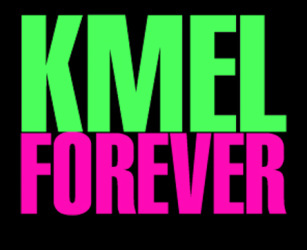 CLICK BELOW TO HEAR HAROLD AUSTIN ANSWER THE QUESTION: WHAT DO YOU THINK MADE KMEL SUCCESSFUL? CLICK BELOW TO HEAR HAROLD AUSTIN ANSWER THE QUESTION: WHAT WAS YOUR FAVORITE PROGRAMMING ASPECT OF KMEL? CLICK BELOW TO HEAR HAROLD AUSTIN ANSWER THE QUESTION: WHAT WAS SPECIAL ABOUT YOUR TIME AT KMEL?